In 2017, French developer Dontnod Entertainment will swap Arcadia Bay for the grimy cobbled streets of Victorian London with Vampyr, and a series of screenshots have emerged today spotlighting the studio’s new horror IP. Arriving via Focus Home Interactive, publisher behind the 2017 release, the gallery of images below introduces Jonathan Reid as both talented doctor and elusive bloodsucker — a core duality that will anchor Dontnod’s gothic RPG. 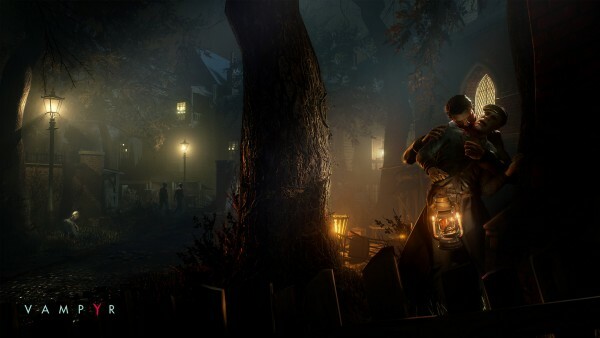 Taking place in 1918, at a time when the English capital was crippled by a pandemic known as the Spanish Flu, Vampyr will find Reid torn between a Hippocratic Oath and an insatiable desire to kill, and Dontnod has teased in the past that this moral dilemma will have a “rippling effect” as players choose between who lives, and who dies. Vampyr has been penciled in for a release across PlayStation 4, Xbox One and PC in 2017. Expect new details to creep out of the shadows during E3 2016 next month.